One of the biggest challenges the Huaorani face are the oil companies, "las petroleras." Their territory is very rich in oil with Ecuador being the fifth largest oil exporter in South America. The oil companies built the Via Auca, a 150 km road slashing through the heart of Huaorani territory. The problems that come with such a road are many, and of harsh consequences: deforestation, pollution, habitat degradation, and invasion by settlers, the military, and oil company workers. While some Huaorani have resisted the "petroleras," others have become dependent on them, some even becoming oil company employees. The Huaoranis are feared by many people in the region, and even saying their name often inspires fear and awe. But once you get to know them, you can see beyond their fearsomeness. They are happy, very talkative and cheerful. The women and men are equal, in contrast to their neighbors, the Kichwas, where women are regarded (or at least treated) as inferior to men. Huaorani men and women have different chores, but in family decision making, they are equal. Huaorani women are very strong and independent, and I have even met a few Huaorani men that were left by their wives. This never happens in Kichwa communities. Another difference between the Huaorani and neighboring tribes is their low fecundity (birth rate). 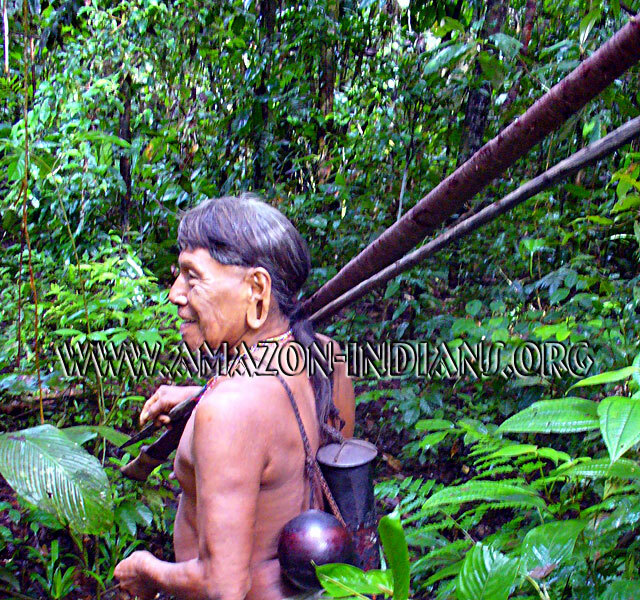 Whereas many Kichwas have between nine and twelve children, the Huaoranis usually only have two or three. I once asked some Huaoranis why this difference, and they told me there were not enough resources to raise that many kids. Huaorani women know how to make teas from tree bark, fruits and leaves, which act as a natural birth control method.